Callao Cave is one of the limestone caves located in the municipality of Peñablanca, Cagayan province, in the Philippines. The seven-chamber show cave is one of 300 caves that dot the area and the best known natural tourist attraction of the province. The town is named as Peñablanca (Spanish for white rocks) for the presence of white limestone rocks in the area. Callao Cave is located in the Barangays of Magdalo and Quibal in Peñablanca about 24 km (15 mi) northeast of Tuguegarao City, the capital of the Province of Cagayan. A new species of human living between 50,000 to 67,000 years ago, Homo luzonensis, discovered in the cave was confirmed in 2019. Callao and the other caves are situated in the western foothills of the Northern Sierra Madre Mountains of the Philippines. They are situated within the Peñablanca Protected Landscape and Seascape, which stretches from the caves to the eastern shores of the Pacific Ocean. Callao Cave was visited by American Governor-General Theodore Roosevelt, Jr. in 1932 who under his term created the National Park system of the country with the passing of Act No. 3195 in 1932. Callao Cave was one of the earliest national parks of the country when it was established on July 16, 1935 by Proclamation no. 827. The Callao Cave National Park encompassed an area of 192 hectares (470 acres) of land. With the passing of the NIPAS Act of 1992 that revamped the protected areas of the country, the Callao National Park was reclassified but enlarged by Proclamation no. 416 on June 29, 1994. The protected area was reestablished as the Peñablanca Protected Landscape. 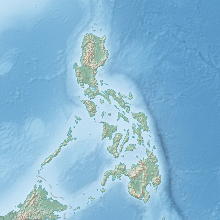 In 2003 upon the recommendation of the Department of Environment and Natural Resources (Philippines) (DENR), the protected area was further enlarged to include certain parcels of land in the public domain. Proclamation 416 no. was amended by Proclamation no. 484, signed by President Arroyo on October 6, 2003. The law enlarged the park to 118,781.58 hectares (293,515.7 acres) and renamed as the Peñablanca Protected Landscape and Seascape (PPLS). The protected area is particularly described as bounded on the North and East of Public Forest under FR-1011 per Proclamation No. 584 dated July 8, 1940; on the South by Callao Reforestation Project and on the West by Block I, Alienable and Disposable of Cagayan Project No. 13-C, Certified on February 27, 1923. More than 300 caves dot the protected area, 75 of which have been documented by the National Museum since 1977. Callao Cave and the nearby, but more challenging, Sierra Cave are easily accessible by automobile. Callao Cave is the premier attraction in the Peñablanca Protected Landscape and Seascape. It is the most accessible of all the caves, its entrance is reached by climbing 184 concrete steps. The Callao Cave system is composed of seven chambers, each with natural crevices above that let streams of light to get into the cave, serving as illumination for the otherwise dark areas of the place. Previously, there were reported nine caves in the system, but an earthquake in the 1980s cut off the last two chambers. The first chamber of the show cave is the largest room with a width of about 50 m (160 ft) and a height of 36 m (118 ft). The cathedral-like room has been turned into a chapel by the local people. A rock formation serves as the altar of the chapel lit by a stream of light coming from a rooftop opening. The conditions inside the caves have caused the formation of stalactites and stalagmites, more so in the deeper chambers. Several spectacular speleothems or formations are found inside the cave like flowstones, glittering dripstones, cave curtains, crystal helictites, columns, etc. Callao Cave is classified by the Department of Environment and Natural Resources as a Class II cave. This describes caves with areas that have hazardous conditions and contain sensitive geological, archaeological, cultural, historical, and biological values or high quality ecosystems. Such caves are open to experienced spelunkers or caving enthusiasts and guided visits, although some portions may be closed seasonally or permanently for conservation purposes. The Bat Cave near Callao Cave is a Class III cave meaning they are 'generally safe' for inexperienced visitors. They have no known threatened species within, nor any archaeological, geological, historical, or cultural values. Economic activities, such as collection of guano and edible bird's nest, are allowed in such caves. Callao Man refers to fossilized remains discovered inside Callao Cave in 2007 by Armand Salvador Mijares. Specifically, the find consisted of a single 61 mm (2.4 in) metatarsal which, when dated using uranium series ablation, was found to be at least 67,000 years old. If definitively proven to be remains of Homo sapiens, it would antedate the 47,000-year-old remains of Tabon Man to become the earliest human remains known in the Philippines, and one of the oldest human remains in the Asia Pacific. It has been noted by researchers that Callao Man was probably less than four feet tall. Researchers also believe that Aetas, mountain dwellers today on Luzon Island, could be descendants of the Callao Man. In 2010, more human remains were discovered in the cave and were tentatively known by the scientific community as remains of Homo sapiens. More bones discovered in 2015 by the paleoarcheologist Armand Mijares of the University of the Philippines Diliman led to scientific investigation on the real genetics of the human remains. On April 10, 2019, the paleoanthropologist Détroit published studies in the scientific journal Nature, naming the newly identified human species, Homo luzonensis, which lived on the island of Luzon at least 50,000 to 67,000 years ago. The remains consist of seven teeth and six small bones and is the third landmark discovery in all of archipelagic Southeast Asia in regard to ancient human discovery in the last 15 years. Ultimately, the previously discovered Callao Man remains have been reclassified as Homo luzonensis. Other pristine and undisturbed caves with living rock formations in the Peñablanca Protected Landscape and Seascape include Jackpot, Laurente, Odessa-Tumbali, Quibal, Roc, San Carlos, and Sierra Caves, among others. These caves may be explored with guides from Sierra Madre Outdoor Club, Adventures and Expedition Philippines Inc., and North Adventurer. Daily circadian flight of bats from the Bat Cave occur at dusk. ^ Guillermo, Artemio R. (2012). "Historical Dictionary of the Philippines, 3rd edition", pg. 125. Scarecrow Press, Inc., Maryland. ^ a b "Peñablanca" Archived 2015-07-15 at the Wayback Machine. Cagayan Province Official Website. Retrieved on 2013-10-04. ^ a b Greshko, Michael; Wei-Haas, Maya (10 April 2019). "New species of ancient human discovered in the Philippines". National Geographic. ^ "Protected Areas of Region 2 Map" Archived 2013-12-31 at the Wayback Machine. Protected Areas and Wildlife Bureau. Retrieved on 2013-10-03. ^ "Acts Enacted in 1932". PhilippineLaw.info. Retrieved on 2013-10-04. ^ "NIPAS List of 202 Initial Components" Archived 2013-10-04 at the Wayback Machine. Protected Areas and Wildlife Bureau. Retrieved on 2013-10-03. ^ "Proclamation no. 484" Archived 2013-10-04 at the Wayback Machine. Protected Areas and Wildlife Bureau. Retrieved on 2013-10-03. ^ "Batanes Protected Landscape and Seascape". Protected Areas and Wildlife Bureau. Retrieved on 2013-10-03. ^ a b "Callao Caves". Department of Tourism. Retrieved on 2013-10-01. ^ Bloom, Greg; Grosberg, Michael; etc. (2011). "Lonely Planet", pg. 209. Lonely Planet Publications. Retrieved on 2013-10-04. ^ Dalton, David (2011-10-03). "The Rough Guide to the Philippines, 3rd edition", pg. 158. Rough Guides (publisher). ^ "Cagayan - Caving Capital of the Philippines". Travel to the Philippines.info. Retrieved on 2013-10-04. ^ a b "DENR classifies 158 more caves". Philippine Information Agency. Retrieved on 2013-10-04. This page was last edited on 13 April 2019, at 01:09 (UTC).